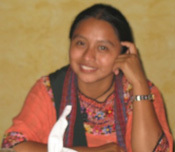 Alex became a GOJoven Fellow at age 21. 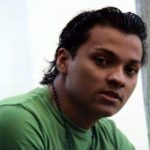 He is a Lesbian, Gay, Bisexual and Transgender (LGBT) activist and was previously director of the Youth in Movement Association (AJEM), which was established as part of the Honduran 2007 GOJoven Leadership Action Plan. Currently, Alex is Director of the Center for Development and Cooperation LGTBI (SOMOS CDC). His academic background includes a Bachelor’s Degree in Management and Social Development, a Master’s Degree in Project Management, a Doctorate in Senior Management and he is currently studying to attain a law degree. His work as an LGBTI leader led him to work with other young people on sexual and reproductive health issues, particularly HIV prevention and sexual and reproductive rights. Visionary and directed, Alex sees himself working with the United Nations or an NGO helping people from marginalized communities.